(604) 254-1929, 2017 Commercial Dr. Located in the heart of Beautiful British Columbia, Addis Café is proud to be Vancouver’s Best Authentic Ethiopian Restaurant. 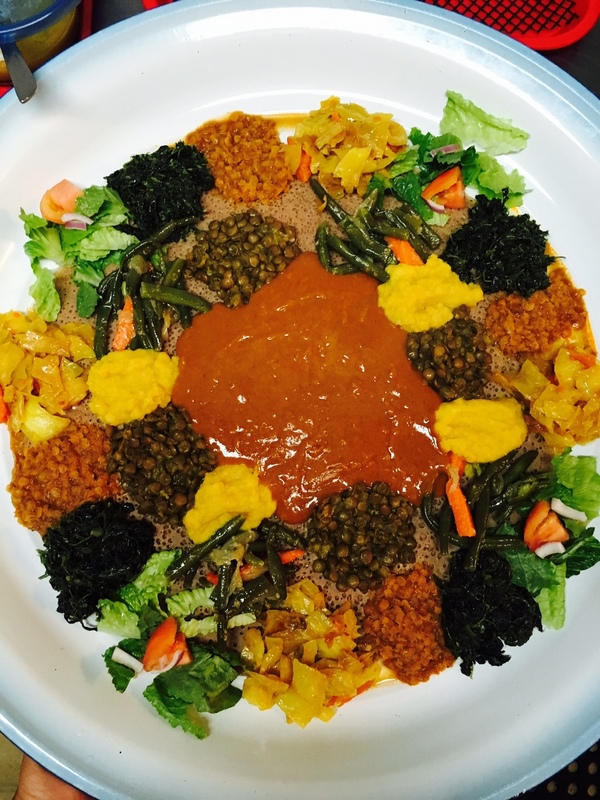 Conveniently situated in Vancouver on Commercial Drive along with Italian, Japanese, Indian and Mexican ethnic restaurants, Addis Café proudly serves delicious and healthy vegetarian and meat cousins to friends and families to enjoy. For Centuries Ethiopians have enjoyed eating together using fingers from the same plate as long as there is enough room to sit around. You will experience tradition and practice thousands of years in the making. It is in the way the food is presented to you, in the spices and herbs that are used, and in the slow cooking that produces the unique and complex flavors. 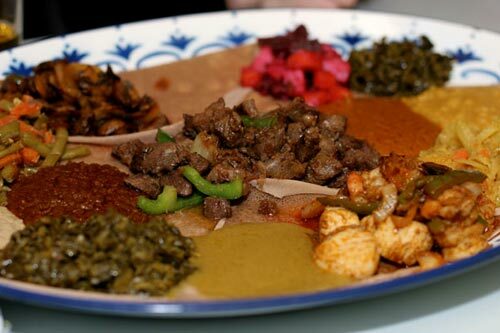 You are just about to experience this ancient tradition here at Addis Café or at your own home with our take-out menu. Every dish is slowly cooked and flavored with spices and herbs indigenous to Ethiopia to attain unique and complex flavors. Traditional Ethiopian food consists of injera and wot. Injera is a thin crepe like flat bread made of teff, an iron rich grain grown only in Ethiopia, although entrepreneurs have started growing it in this country to serve the large Ethiopian community in the United States. Wot is a spicy sauce that can be made with beef, lamb, chicken, fish (pork is not eaten in Ethiopia) or any number of vegetables such as lentils and split peas.The main ingredient is Berbere, a spice that combines red jalapeno peppers, cumin, cardamom, ginger, coriander and other similar spices. Every family prepares its own Berbere by first sun drying the peppers and then combining the other ingredients. 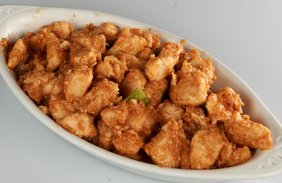 It has a complexity of flavor that you cannot replicate from cayenne or chili powder. The Berbere we use in our restaurant is prepared by our families back in Ethiopia. Our deep yellow colored purified and spiced butter, which is brought to a simmer over low heat, give our dishes a delicious aromatic flavor. 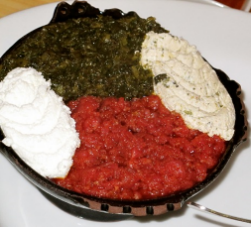 The meal is traditionally served on a “Mesob”, a large plate on a colorful woven basket table, with a variety of Wots arranged on the Injera. Family and friends sit around the Mesob and share the communal serving by tearing off pieces of the Injera and scooping up the various Wots with it. Silverware is not used at all; instead one uses the original fork – one’s fingers. Although the food is finger-licking good, it’s considered bad manners to lick one’s fingers because diners are sharing a communal plate. It’s both customary and proper to wash one’s hands before and after eating.